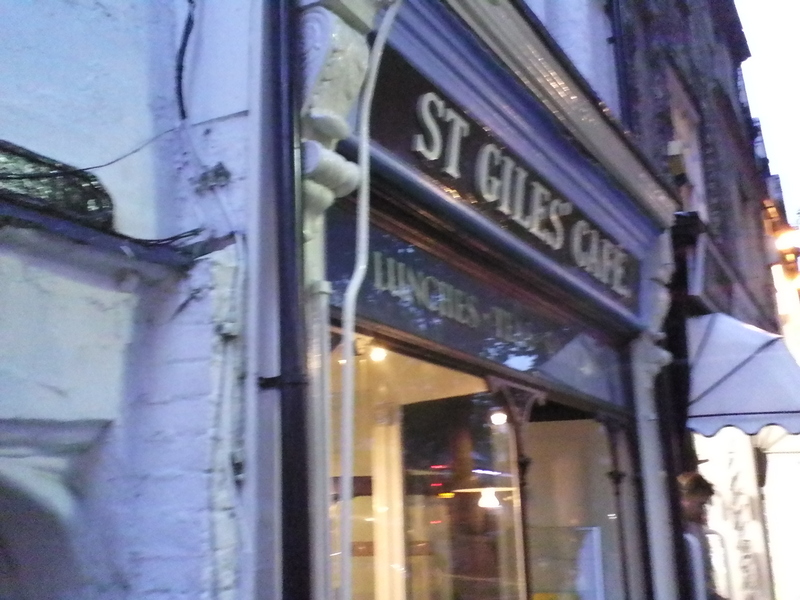 The cafe in St. Giles easily identified by an iconic outside table is called the St. Giles Cafe. The cafe harks back to the 1930s. Although it emphasizes breakfasts, it also serves dinner from Thursday to Sunday. 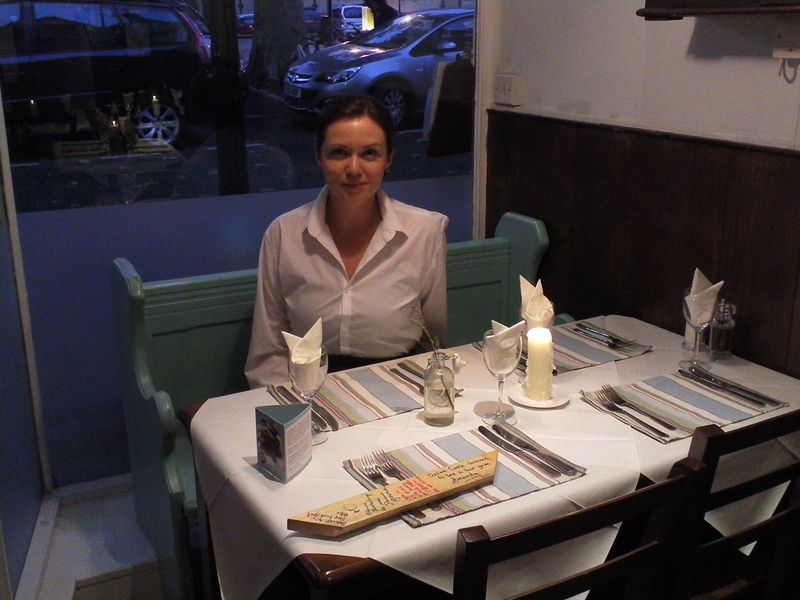 Feeling hungry, I had supper there and especially cherished my pan fried fillet of skate that arrived on a cushion of risotto shot through with crunchy samphire. Once seated, I noted that I could have brought along my own wine. Dennis had advised that the waitress there was always nice and the waitress I met could not have been nicer. Amanda supplied the montage with a food for thought poster that provides customers a cloud shaped thought space in which to scribble their musings. She further supplied a packet of St. Giles Cafe’s unique tea blend and I was given a teapot of the tea to sample.